Education in Andaman and Nicobar Islands, Andaman and Nicobar Islands Higher Secondary Education, Andaman and Nicobar Islands Education. 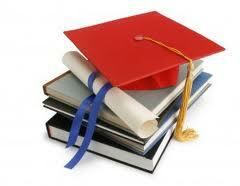 Education is the stepping stone for high flying Career. Education system in India is of dates back where the children’s were taught in Gurukuls and the Guru-Shishya system was the means of education. Indian education system was improved when universities like Nalanda, Takshashila, Ujjain and Vikramshila came into existence. Education system in India is managed and controlled government well, providing education to all without any discrimination had become the priority of the government. People staying in bigger cities have more facility about education of their children as all the educational institutes as well as schools gets establish in such area. It is due to larger population the scope of education gets increased. But have you ever thought about the residents who stay at islands? How do they live and educate people. This fact will be clear with the system of education in Andaman and Nicobar Islands. There is an organization termed as national policy of education. The organization ensures compulsory education to each and every individual staying at Andaman and Nicobar Island. The government of the place have a strict vigilance on each and every house with heads under the category of education. Not a single child will be uneducated under the education in Andaman and Nicobar Islands. Even the quality of education has improved a lot today in such an island. All the children will be provided with free education till the age of 14 years. The authority dealing with education in Andaman and Nicobar Islands has established a school within 1 km of habitat where the population is 150 heads and above. Also remote habitation is provided by the non formal education centres of the island. This is an attempt for educating all the children where primary schools are not available. Since there are 36 islands in Andaman and Nicobar, the schools and colleges are speared with a figure of 396 in total. All the schools are managed by department of education in Andaman and Nicobar Islands. Among then two schools are run by Kendriya Vidyalaya Sangathan, 2 are aided schools, some are maintained by the municipal corporation of that specific area and rest are run by Zila parishad. Some schools are also been established by the government in tribal areas. The education is provided in various regional languages in such area. The total teachers have a figure of 4726. Thus, teacher for student have a ration of 1:18.